Tuckaway Country Club is a private, full-service, golf and country club located in Franklin, WI. With our broad, tree-lined fairways and beautifully manicured greens, the course at Tuckaway offers an ideal experience for both the experienced golfer and the recreational player. While the greatest benefit of being a Tuckaway member may be our PGA tour-caliber golf course, we offer tennis courts, a swimming pool, and sauna as well. In our clubhouse, the Grill Room and Formal Dining Room feature the finest in dining. 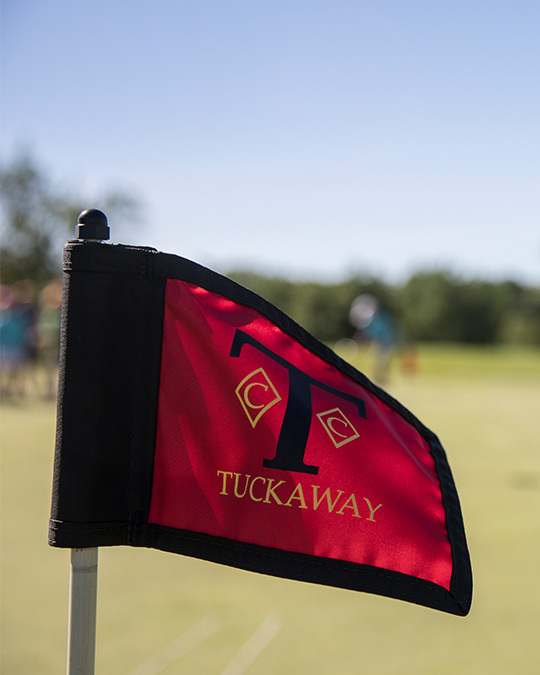 Whether you’re interested in membership, or plan to visit as the guest of a member, we promise that Tuckaway will provide a positive, memorable experience. In 1973, a relationship was started between the PGA Tour and Tuckaway Country Club that lasted for 20 years. The tour players immediately fell in love with this fantastic layout and many of the games greatest players graced its fairways. Players such as Ken Green, Dave Stockton, Mark O’Meara, Lee Trevino, Payne Stewart and Jack Nicklaus among many others have stated how much they enjoyed playing here. The course record is 61, which was first recorded in 1988 by Ken Green, who was that year’s champion and was tied a few years later by Robert Gamez. Even though the tour left Tuckaway in 1993, any Tour player who has played here will tell you that they truly loved playing Tuckaway and miss it immensely.